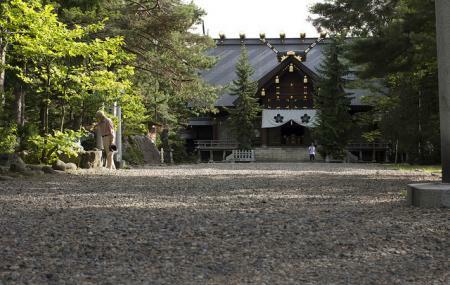 Lying within close proximity of the Hokkaido Gokoku Shrine, the Kamikawa Shrine an alluring shrine made mostly brown word, that is the first thing to strike you. The shrine is engulfed by beautiful surroundings that beckon a stroll! However, this may not be possible if you visit in the months of winter, owing to a thick layer of snow. It is very peaceful and tranquil, certain to make you forget all the yin! Love this? Explore the entire list of places to visit in Asahikawa before you plan your trip. Fancy a good night's sleep after a tiring day? Check out where to stay in Asahikawa and book an accommodation of your choice. How popular is Kamikawa Shrine? People normally club together 旭川冬まつり実行委員会 and Kaguraoka Park while planning their visit to Kamikawa Shrine. People also prefer to start their day with Kamikawa Shrine.